SKIN CARE company Nivea announced today they will manufacture and distribute the worlds first sunscreen with an SPF of 500, designed specifically for people with ginger hair. 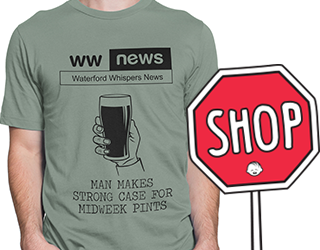 The product will go on sale in the next few weeks, and initially be available exclusively to the Irish and Scottish markets. 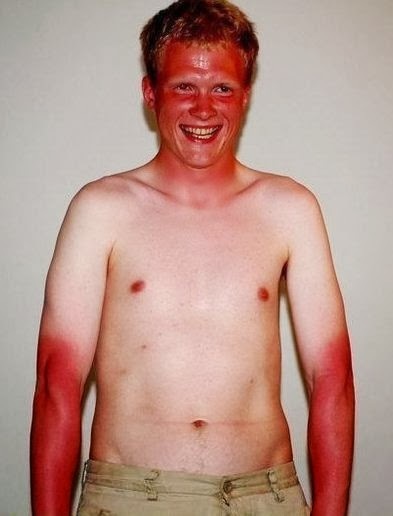 High SPF sun creams have proved ineffective when it comes to protecting the average ginger haired, pale faced members of society, with the previous highest factor of 110 still allowing harmful UV rays to cause damage ranging from third degree burns to complete immolation. A spokesperson for Nivea’s suncream branch discussed the need for higher protection in this exclusive interview with WWN. “Previous creams proved fairly useless when it came to dealing with the freckled end of the spectrum” said Sol Bailey, head of PR at Nivea. “I mean, we’ve all seen the photos online, with the Irish guy who burst into flames on the beach in Australia last year. We felt we had a responsibility to create a cream with an SPF high enough to allow even the pastiest ginger to go out in the sun for a half hour or so”. Bailey went on to describe the revolutionary new cream, which will be available without prescription. “There are many differences between SPF500 and your regular suncream” said the Nivea spokesman. “For one, it comes in a can rather than a bottle. The can will have a special roller applicator with it, as the cream is much thicker and cannot be squeezed into the palm of your hand. It’s got a thick, viscous, almost emulsion like quality to it, and should be reapplied every half hour depending on the redness of the users hair”. The announcement, which comes in the middle of Irelands annual fortnight of sun, was welcomed by Irelands 2.5 million carriers of the ginger gene and prompted the President of the Irish Redheads Association to make the following statement on the groups official website. “This will revolutionise Summertime for the redhaired population of this island” said Ruadhri Fox, chief of the IRA.